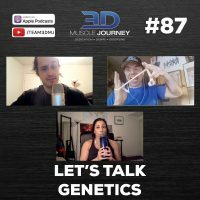 In today’s episode, Alberto, Andrea, and Brad discuss one of the biggest influences on your bodybuilding career, your genetics. Even though we may not like it, genetics play a significant role in our ultimate physical development. Throughout their conversation, the coaches highlight a few very important concepts, including: making the most out of what you have, it’s not just the program that matters, but how it’s executed, the different factors that affect one’s development, and more. 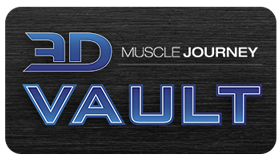 The coaches make it quite clear that the general attitude in regards to the role genetics play in physique sports, is drastically different than the acceptance of the genetic component when looking at athletes who excel in performance-based sports. Why might this difference in attitude exist? If you are someone who has been dealt a less than ideal hand, what can you do about it? Join us this week to find out!